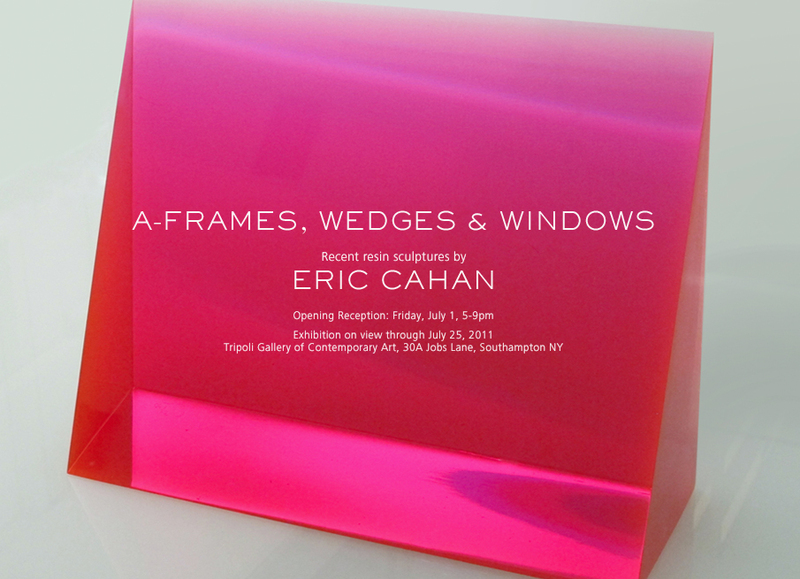 Koenig & Clinton is pleased to present works by Brandon Lattu, Eric Cahan, Ed Ruscha, and James Welling. Exhibited together, works on view underscore the artists’ parallel concerns around experimentation, representation, language, and memory within photographic practices. 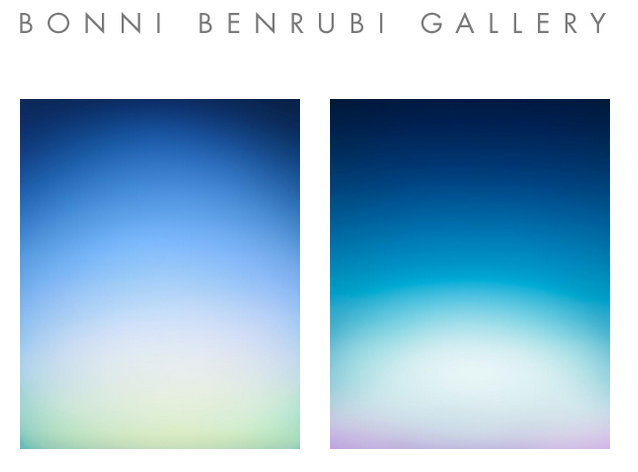 Bonni Benrubi is pleased to announce an exhibition of new works by Eric Cahan (American, b. 1970). 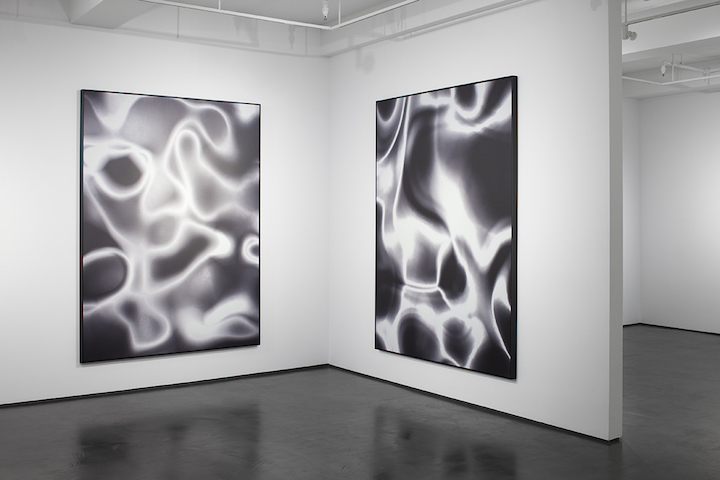 Sky Series is the artist’s first solo show with the gallery. The exhibition opens Wednesday, October 30 and runs through Saturday, December 7. 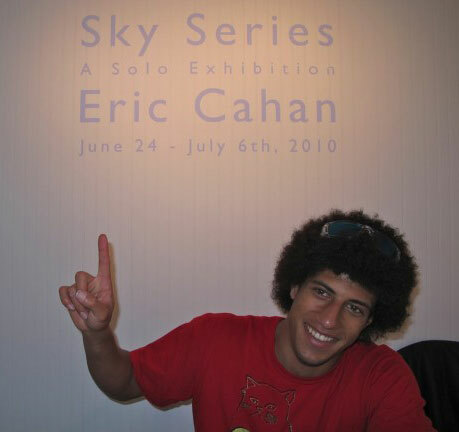 Cahan has made the work for his current series during his extensive travels. 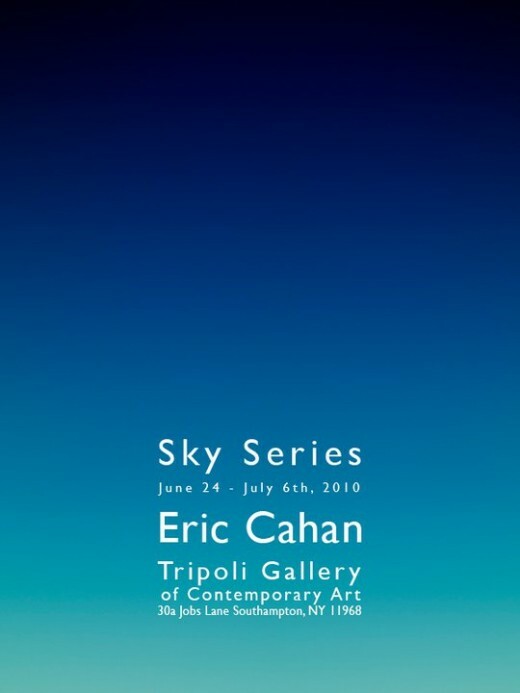 Taking the sky and ocean as his subjects and points of departure, Cahan makes photographs which are not so much images of landscapes as color-saturated images, equal in parts of flat color and limitless space. “I’ve become very interested in making a whole object,” the artist explains, “and providing a window into a memory of a time or a place.” A new series of paintings based on prints transferred to linen, Masonite or wood panel will also be on show. 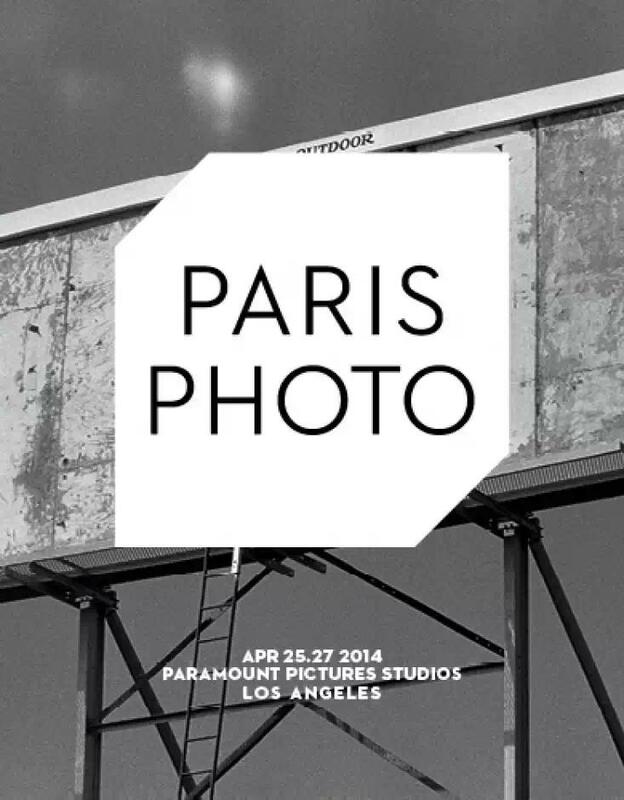 Each photograph, painting or sculpture in the exhibition is titled with the time and location of its conception. In this way, Cahan catalogs his visual journal. 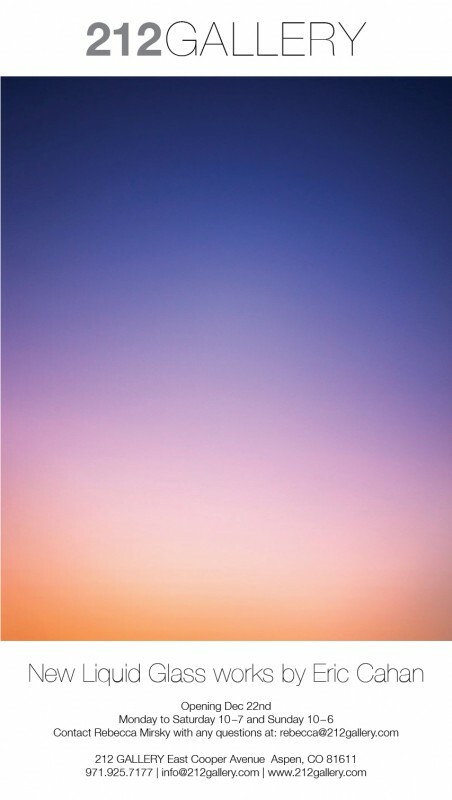 Cahan makes his photographs during the magical golden hour, the first and last hours of sunlight during the day, when an ephemeral glow often occurs in the sky. Employing an elaborate process of filmmaker’s colored resin filters, which the artist has made himself, Cahan holds these up to the lens when taking the photograph. 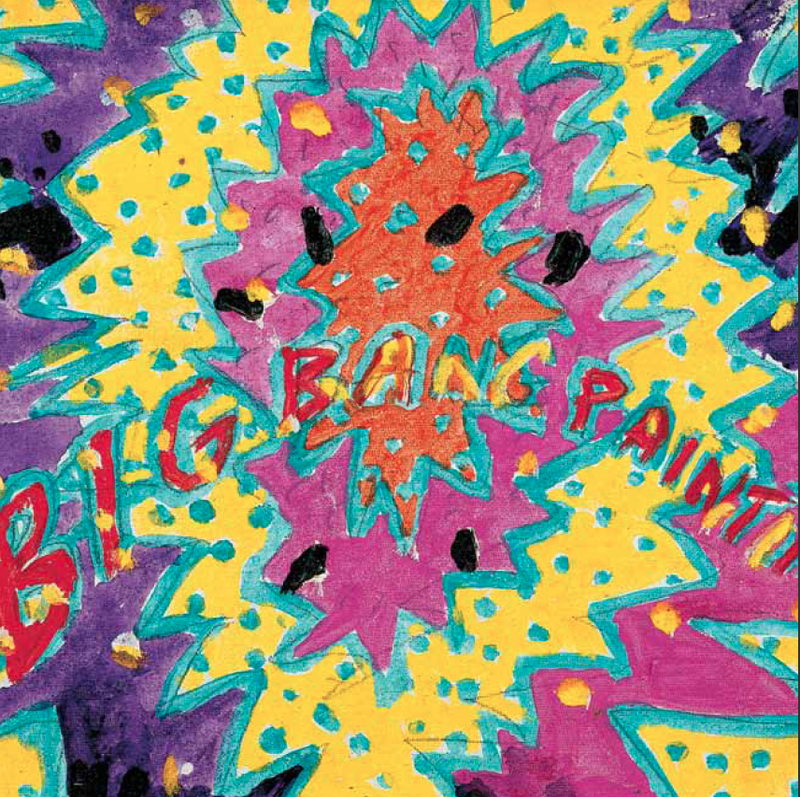 The resulting images, expanses of richly gradated hues, are a study in Color Theory and the science of how colors, tones and hues combine to create widely varied determinable results. Although Cahan has been photographing nature for years, his most recent work has been informed by time spent at James Turrell’s infamous earthwork labyrinth with the Roden Crater, where the landscape itself filters the light with the undulation of the underground tunnels. 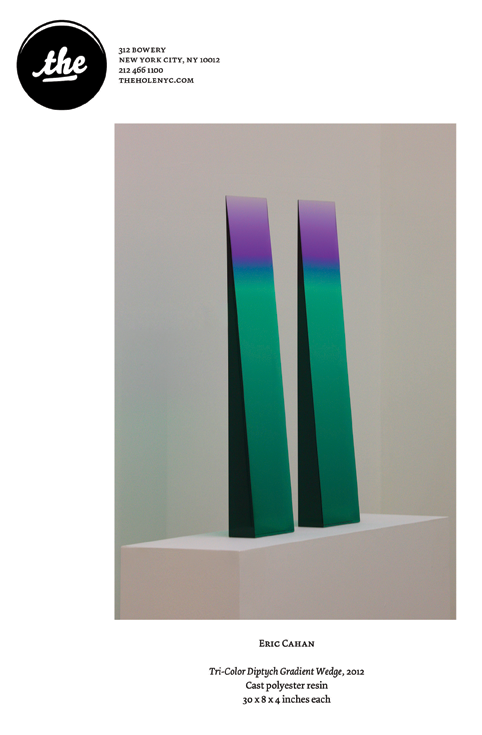 In direct conversation, Cahan’s resin sculptures explore the nature of light through filters in much the same way. 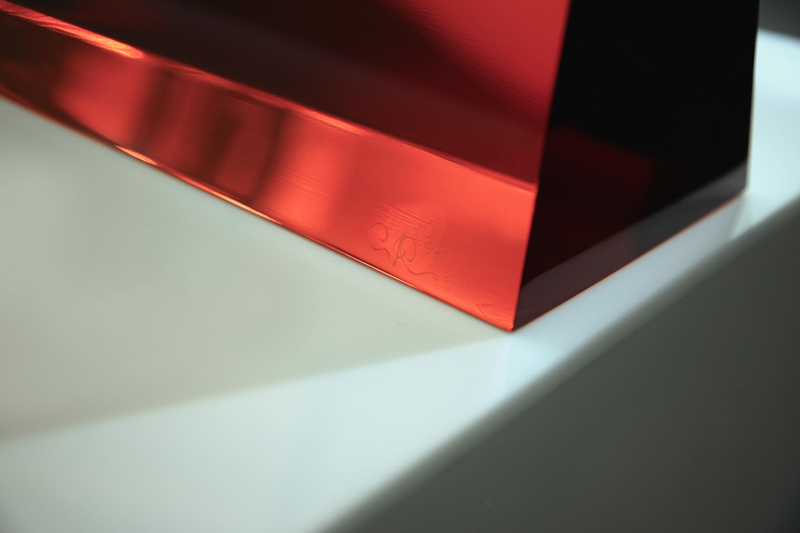 The opaque wedges are an investigation of depth by embodying the same color gradients and the effect of how the light is captured and manipulated through 3-dimensional form. 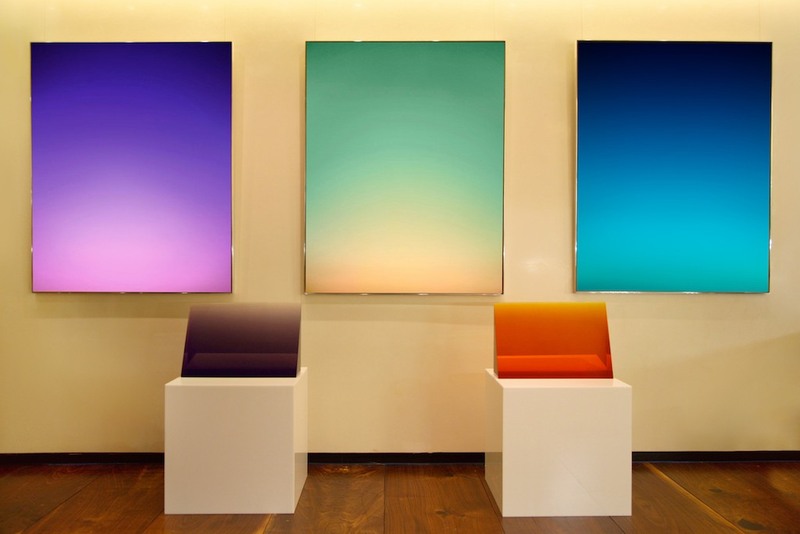 Eric Cahan was born and raised in Manhattan. He studied at The University of Southern California and New York University, where he graduated from The Tisch School of the Arts’ Film Program. He currently resides in Brooklyn, New York. October 30 – December 7, 2013. 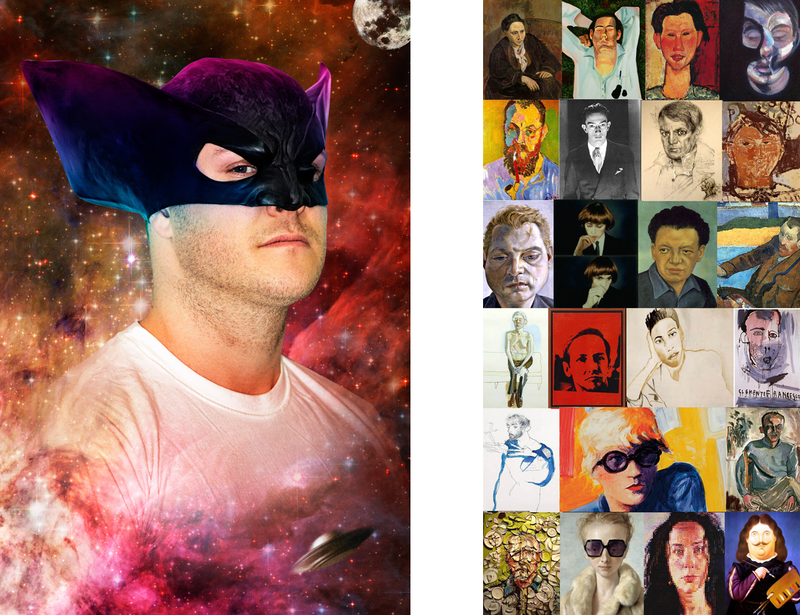 Recent works available through Firestone Gallery. 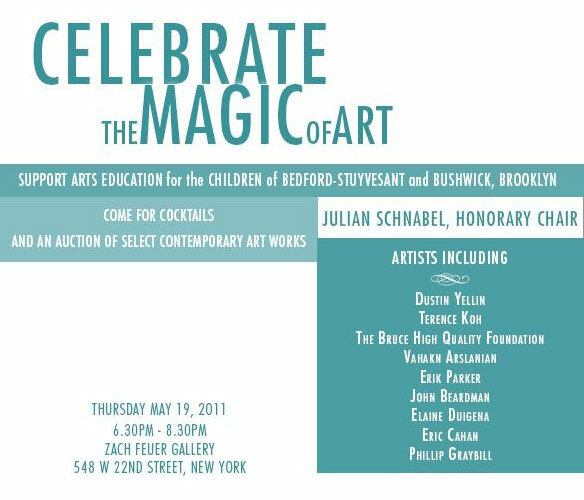 Support Arts and Education for the Children of Bedford-Stuyvesant and Bushwick Brooklyn. 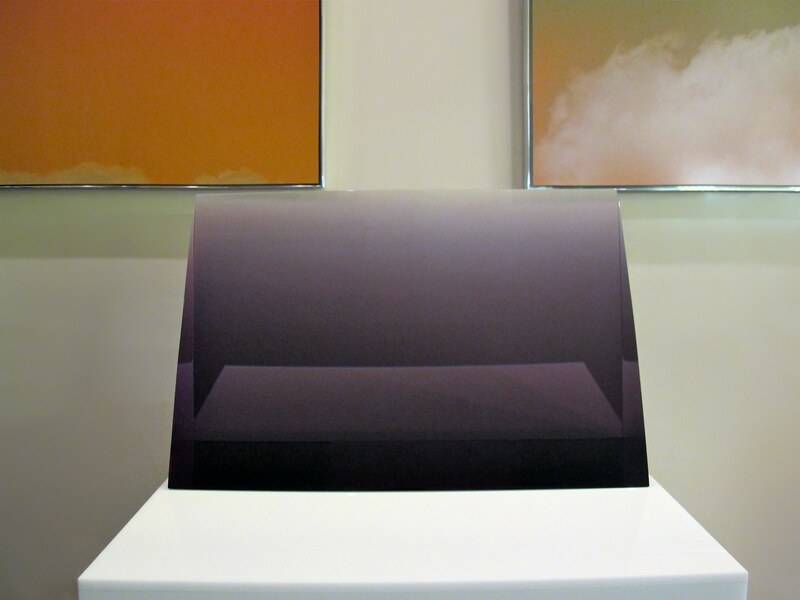 On Saturday, June 26th, 2010 Tripoli Patterson presents his opening summer show entitled, Sky Series, a solo exhibition at the Tripoli Gallery of Contemporary Art with an opening reception for the artist from 5 – 8 pm. Refreshments will be served. Please visit our website at www.tripoligallery.com. 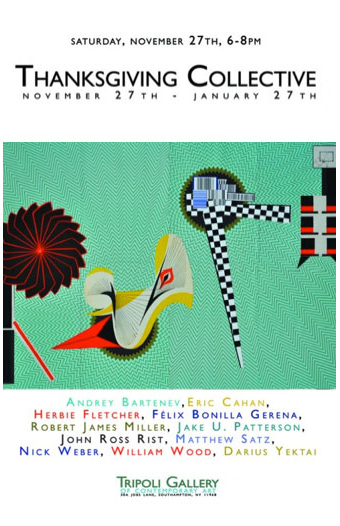 You can also contact the gallery by phone at 631 377 3715 or by email at info@tripoligallery.com. Gallery hours are Monday – Sunday, 10 to 6pm, closed on Tuesday.